WACO – Despite suffering a loss, Tarleton State battled and clawed with the No. 8 Baylor Lady Bears on their home court Monday night in the final preseason tune-up before starting the regular season this weekend. The TexAnns dropped their only exhibition game of the season 102-41 to the reigning Big 12 champions and Final Four contenders, but made the Lady Bears work for every point. Both teams started their opening day lineups and the Texanns, under first-year coach Misty Wilson, battled. 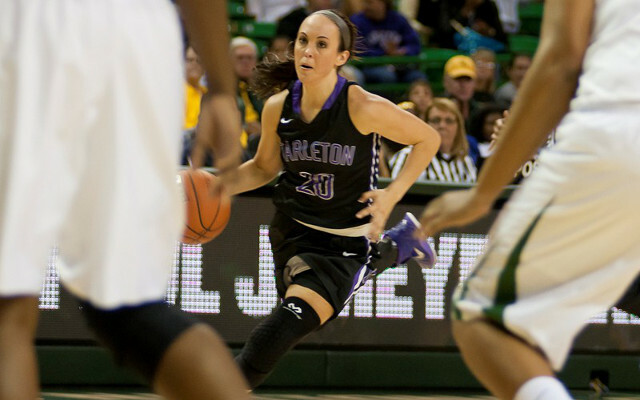 Tarleton entered halftime trailing 56-26 but, over the first 20 minutes of the game, Tarleton was right in the mix of the rebounding battle – trailing just 23-20 – and outscored the Lady Bears off the bench 10-9. However, the TexAnns shot just 25-percent from the floor and were 2-14 from downtown. In the second half, Tarleton was outscored 46-15 en route to the 102-41 final score. Morgan Ashmore led the team in scoring with eight points in her first game since suffering a season-ending knee injury in January. Kathy Thomas added seven and freshman Averie Mack had six in her collegiate debut. Karli Moore and Ikpeaku Iwobi each had four points and five rebounds while Raven McGrath (4),Bailey Wipff (3), Meagan O’Dell (3) and Brooklyn Garcia (2) rounded out the Tarleton scoring. The TexAnns will return home this weekend to begin the regular season in the TexAnn Tip-Off Classic against Southern Arkansas Friday and St. Mary’s Saturday. Both games begin at 5 p.m.